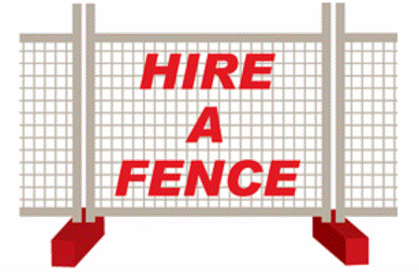 HIRE-A-FENCE specialises in providing a quick, efficient, economical and safe temporary fencing system for all surfaces. Our engineered, galvanised, fully framed steel mesh panels fit into plastic coated concrete blocks or smooth flat metal bases and are interconnected at their support ends by top brackets. swing freely, acting as a gate. Extra's to the system include ''dust control shade cloth'', ''metal or ply sheeting'' for total visual block-out. This fencing acts as a safety barrier and ideal for construction site barriers, civil site security, specialty event boundaries / concerts and any public restriction areas. We are based in Metricup, servicing Busselton, Dunsborough, Margaret River, Yallingup and surrounding areas. We all have a ''duty of care'' to protect ourselves and others from the risk of injury. For free quotes and fast, friendly reliable service, please contact Nigel.